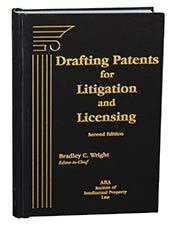 The first book to help patent practitioners draft the broadest possible patent that can sustain a validity challenge by synthesizing and applying lessons from the case law. You’ll discover in-depth discussions on pitfalls in claim drafting; dangers of means-plus function clauses in claims; strategies to target direct infringers; recent trends regarding the scope of enablement; instructions on how to “Festo-Proof” a patent application; pitfalls with provisional patent applications; strategies for continued prosecution of patents; statutory subject matter problems affecting software, business method and biotechnology patents; creative claim drafting to avoid common problems in chemical and pharmaceutical patents; and strategies for maximizing design patent protection. The Second Edition has been extensively revised to address passage of the Leahy-Smith America Invents Act (AIA), including supplemental examination of patents under AIA. The Federal Circuit’s en banc decision on direct infringement on remand in Akamai Technologies Inc. v. Limelight Networks, Inc.